A yearly event called 'Mushi Okuri' is taken place to pray for not harmful insects get on the rice. 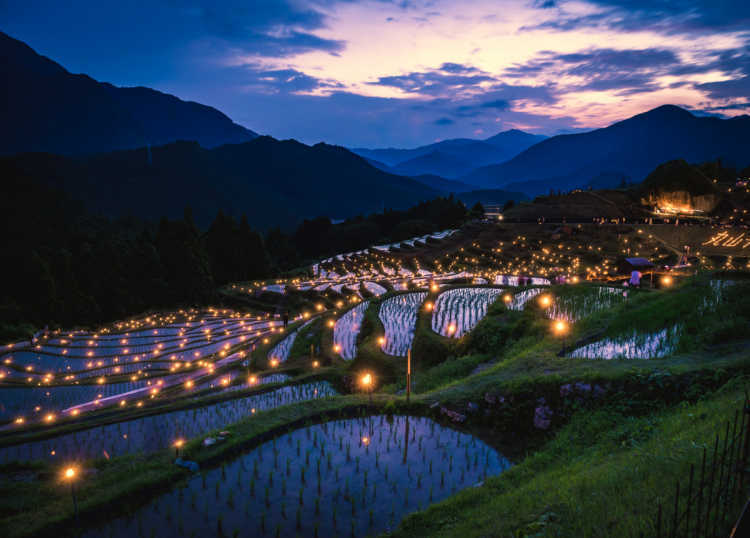 There're candles all around the terraced-rice fields, and people with lanterns in their hands sing peculiar songs, and walk around this area. We could see fireworks at the end, so it was a good and exciting event.